You are ready to mobilize your talent ! It is our ambition at the Talent Spirit to provide services and tools tailored to our clients’ needs for individuals, teams or the whole organization, to help them deal with their challenges and issues. Our mission is to make the organization a better place to work for. We serve individuals and organizations in the fields of talent identification, development, sustainability and retention with particular emphasis on the high potentials. The Talent Spirit (formerly The Training Spirit) was founded in Geneva in 1993 by Kate Lindley and Jean-Luc Scheidegger and has gained a prominent place in the Swiss corporate training market. Our name reflects our philosophy of being at the forefront of evolution of people issues in corporate life. We thus model the sort of change management we provide. We like to think of ourselves as talent developers and include ourselves in that ambition. 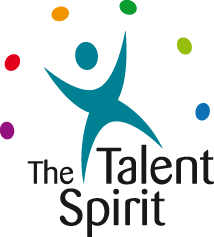 The Talent Spirit team is committed to maintaining our high reputation by continuing to deliver a complete range of services that make The Talent Spirit a "one-stop-shop" for human resources solutions. We come from different countries and cultures and have complementary areas of expertise in which we have certification and experience. We see differences as an opportunity for learning and growing. We are enthusiastic about our job and passionate about quality and continuous improvement. Team members operate an inter-group monitoring system which gives regular feedback as to how standards are being met. This allows us to offer our clients a “success guarantee” whereby a client who is not 100% satisfied is entitled to complimentary extra sessions. This is the “spirit” in which we do our job. Call it team spirit, call it passion, call it “walking the talk” All these expressions add up to making the experience of working with The Talent Spirit unique, efficient, effective and, we hope, enjoyable. You would like to have made-to-measure solutions rather than off-the-shelf. You value solutions that fit your organization, its culture and its people. You would like to integrate new approaches into your current practices. You would like to work with practical people who have done solution implementations. We have over 160 years of accumulated experience, knowledge and wisdom in our areas of specialization. We have over 100'000 hours of training and coaching in organizations. We have worked at all levels in the organizations, from manufacturing to the executive board. We have worked in a multitude of industries, NGOs and non-profit organizations. Our team is comprised of specialists with academic qualifications in economics, business administration, psychology, human resources, educational sciences, and who continue to study.